The ESPD, which is mainly provided for in Article 59 of Directive 2014/24/EU 1 , is conceived as a self-declaration based on a standard form to be adopted by the Commission by means of an implementing act to be adopted by an examination procedure 2 . It offers preliminary evidence in the form of self-declaration concerning exclusion criteria (e.g. criminal convictions, grave professional misconduct) and selection criteria (financial, economic and technical capacity) so that normally the full set of underlying documentation (e.g. attestations, certificates) only needs being presented by the winning economic operator (unless verification of – certain – documentation from other participants is needed to ensure a proper conduct of the procedure). Furthermore, when contracting entities procuring in accordance with Directive 2014/25/EU 3 apply (some of) the exclusion and/or selection criteria provided for under Directive 2014/24/EU they shall also use the ESPD pursuant to Article 80(3) of the Directive. According to Directive 2014/24/EU and Directive 2014/25/EU, the ESPD shall be provided exclusively in electronic form. However, to allow for the transition to the obligatory use of electronic means of communication in the EU, both electronic and paper versions of the ESPD may exist until 18 April 2018. Given the importance and innovative character of the ESPD, the EU legislator provided for the Commission to "review the practical application of the ESPD taking into account the technical development of databases in the Member States and report thereon to the European Parliament and the Council by 18 April 2017" 4 . The deadline for implementing Directives 2014/24/EU and 2014/25/EU expired on 18 April 2016. However, a series of Member States were late in implementing them and only did so weeks or months after the deadline. Indeed, as of 16 February 2017, 10 Member States still need to implement and notify national measures implementing Directives 2014/24/EU and 2014/25/EU in full 5 . The relevant procedures linked to the absence of complete transposition are currently on-going 6 . As the ESPD is linked to the implementation of the Directives, the period of time and the geographic scope for assessing the practical application of the ESPD are reduced in consequence. In addition to the paper version annexed to the Commission Implementing Regulation (EU) 2016/7 and with a view to supporting Member States in the initial phase of implementation, the Commission services have developed an electronic version of the ESPD (“the eESPD”) 7 . This has been made available to Member States in four different implementing modes, allowing different levels of customisation for Member States 8 . The eESPD service aims to support only a transitional phase in Member States, since the full potential of the ESPD should be exploited with the integration of a “national” ESPD with the e-procurement system and registers or databases of certificates/evidences of each Member State. This will allow reaching three different objectives: greater customisation and adaptation to national conditions; foster the digitisation of public administration; create a basis for simplification of procedures via the implementation of the Once-Only Principle (“OOP”). National solutions of the ESPD are already available in Denmark, Finland, Netherlands, and Slovenia. Although the eESPD was developed as a transitory tool only, the Commission’ eESDP reported a very high usage (see Table 2 in the Annex to the Report). The European Commission has put in place accompanying measures to support Member States in the implementation of the ESPD in addition to the IT tools mentioned above. Funding has been made available to foster the integration of ESPD into the national e-procurement systems. Grants corresponding to 4.9 m euro have been allocated to ten consortia including entities from 17 countries from the Connecting Europe Facility (CEF). Further calls will be launched in 2017, for an amount of 4 million euros. Workshops have been organised in each Member State to analyse the current situation in the country, discuss possible implementing options and provide assistance to facilitate the implementation of the ESPD. A broad range of relevant stakeholders (public authorities, registries of evidences, providers of e-procurement solutions, users, etc.) took part in meetings supporting constructive discussions. 18 workshops have taken place from August 2016 until 28 February 2017 (all Member States will be visited before summer 2017). The workshops provided Member State representatives with a better understanding of the ESPD and of the Commission's eESPD service, while the Commission gathered information on the challenges faced by Member States for implementing it. In particular, the workshops clarified the role of e-Certis 9 and the opportunities to automate processes by connecting national databases with the ESPD and leveraging on the national digital infrastructure. Technical, legal and procedural issues were raised during the meetings. These workshops have highlighted that, in order to define the optimal technical implementation strategy for IT tools, it is necessary to combine legal and technical aspects. Some parties argued that that a clear road map about future technical releases of the ESPD data model should be published in order to allow Member States to plan ahead and allocate resources efficiently. Another point raised was in relation to the compatibility of national ESPD implementations with the EU version. Technical assistance on the implementation of the ESPD has also been made available to Member States. Meetings of the multi-stakeholder Expert group on eProcurement (EXEP) have been held three times a year; moreover, a user community has been set up to improve the eESPD taking into account the suggestions from Member States. Furthermore, webinars have been regularly held to train the public administrations staff working in the public procurement office at central level on the use of the ESPD. This work has been complemented by measures taken at national level to foster the take up and understanding of the ESPD. For instance some Member States have held training sessions to facilitate the set up and the use of the ESPD. Public authorities in various Member States (Denmark, Germany, Italy, Sweden, and the UK) have issued specific guidelines to help bidders as well as contracting authorities on how to fill in the ESPD. With the objective to prepare this report, the Commission asked Member States to report on the application of the ESPD for the above threshold public procurement procedures 10 . To that aim, an online survey 11 was designed: it included ten questions on the practical application of the ESPD by Member States reflecting the state of play at 31 December 2016. According to the survey, 22 Member States have started to use the ESPD while 6 indicated that it is not the case, mainly as the Directive had not been transposed yet. In particular this was the case in Austria, Belgium, Cyprus, Estonia, Lithuania, and Sweden. In practice, the actual experience with the ESPD has been rather limited in most Member States. Some Member States indicated that the number of contracts awarded under Directive 2014/24/EU is very small, for instance due to budgetary restrictions or due to the only recent transposition of the Directive at the time of the survey. Graph n. 2 below illustrates the way Member States have chosen to implement the ESPD out of the various implementing modes made available to them. It appears that most Member States have chosen to use more than one implementation mode in parallel. In particular, two implementing modes largely prevail on the others: the eESPD and the paper form are so far the preferred choices of Member States, counting 15 Member States each. These results confirm that since Member States had just started to implement the ESPD a qualitative assessment can hardly be made; indeed, although Member States acknowledge that the integration into their national e-procurement system would provide greater benefits to all stakeholders, such integration requires some time to be completed. The parallel use of different implementing modes is typical of Member States in which the e-procurement environment includes several platforms operating at national or regional, local level in which administrations implement the ESPD in a different way; this is the case, for instance, in Italy, Sweden, and the UK. Directive 2014/24/EU allows Member States to use the paper version of the ESPD until April 2018. In most cases where the eESPD is used, (12 Member States out of 15) the paper version is used alongside. Only France, Hungary and Ireland reported that the ESPD is used in paper format. Therefore, the paper version is still used by more than 80% of Member States which have already started using the ESPD. This means that they are only marginally using the potential simplification deriving from the use of the ESPD which fosters the digitisation of the public procurement process. However, it should also be considered that the data available are not sufficiently detailed to know for instance the number of contracting authorities using one of the different implementing modalities. In two Member States public authorities recommended using the eESPD developed by the Commission (Germany, Spain). 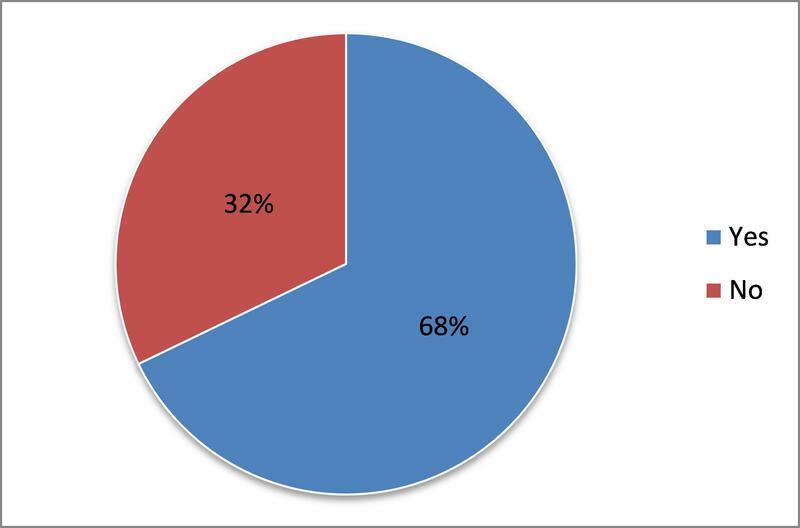 In these two Member States, although contracting authorities provide the possibility to submit the ESPD in procurement procedures, it does not seem to be used by the majority of economic operators. Regarding plans on the implementation of the ESPD for those Member States that have not yet implemented it, some of them reported that in the initial phase they plan to use the service developed by the Commission, or its open source version, and three of them will it develop a national solution using the data model which will be available in 2017. No Member State in this group replied that they would use the paper version. Public procurement Directives leave to the discretion of Member States the possibility to use the ESPD below the EU thresholds or for procedures relating to concessions. 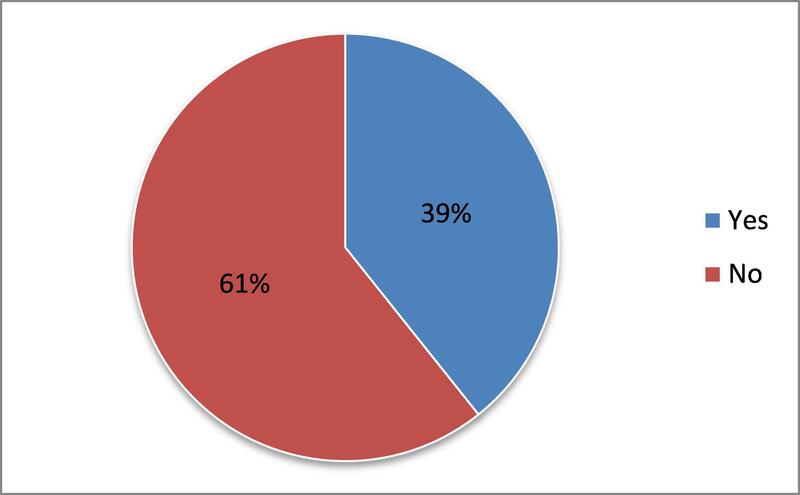 As illustrated in the graph above, 61% of Member States do not intend to use the ESPD for below the EU thresholds procedures or for concession contracts. However, the opposite approach is taken by a large group of Member States. In particular, Bulgaria, Croatia, Denmark, Latvia, Lithuania, the Netherlands, Romania in all or some cases (e.g. in below thresholds procedures if the contracting authority asks information about the exclusion grounds) have made the use of the ESPD mandatory, while Hungary, Italy, Slovenia, Slovak Republic and Spain have made it voluntary. Directive 2014/24/EU called to report on the practical application of the ESPD taking into account the technical development in the databases in the Member States. One significant simplification in the public procurement procedure is to integrate the ESPD with databases and/or an IT system for the pre-qualification of suppliers. Such systems allow checking whether suppliers comply with exclusion or selection criteria used in public procurement procedures (for instance, verifying - eventually automatically - whether the supplier is insolvent, providing the relevant information to the contracting authority). 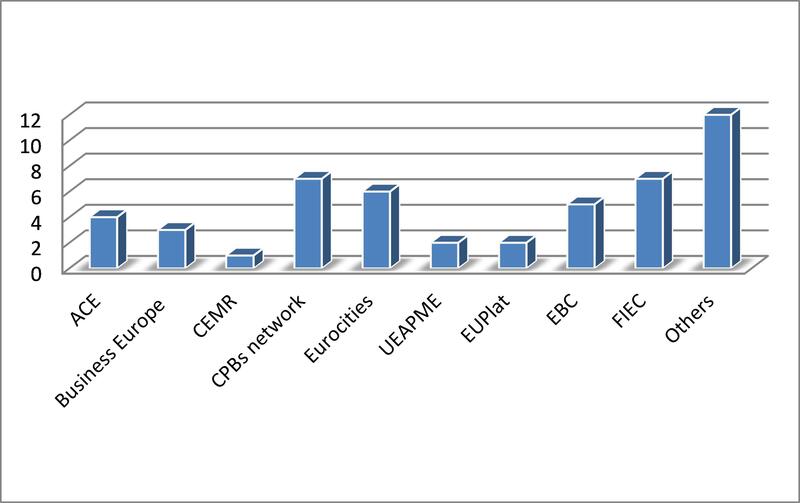 Graph 4 below shows that two thirds of Member States (Belgium, Bulgaria, Cyprus, Czech Republic, Estonia, Finland, France, Germany, Greece, Ireland, Italy, Latvia, Lithuania, Malta, Poland, Portugal, Romania, Spain, and UK) plan to proceed with such integration acknowledging the importance of the ESPD as a building block for the digitisation of public administration. The survey also covered the possibility for buyers to obtain documentary evidence required in a public procurement procedure directly by accessing a national database (a national procurement register, a virtual company dossier, an electronic document storage system or a prequalification system) 12 . This is also commonly referred as “Once-Only Principle” (OOP) meaning that suppliers should not be asked (or asked once at the most) to provide information in order to demonstrate that they meet the requirements set out in an administrative procedure, since this information is already available in databases owned by public authorities. Graph n.5 Is it possible for contracting authorities to obtain the supporting documents required in a public procurement procedure directly by accessing a national database? Member States have been asked whether they plan to integrate the ESPD with some of the IT systems mentioned above. The replies of Member States (see graph n. 5) are polarised in two main, opposite situations: on the one hand, in 11 Member States it is not yet possible for contracting authorities to obtain the documents required in a public procurement procedure directly by accessing a national database. This suggests that in these administrations databases are not open to access by other parts of the administration for direct consultation or for interconnection; this also indicates that the development of OOP is yet to start. On the other hand, in 11 Member States all contracting authorities can access national databases to directly retrieve the evidences and certificates of a supplier. However, this possibility is applicable only to certain type of documents such as those relating to the exclusion grounds (as reported by Finland, Germany, Latvia, Lithuania, Spain), while the other documents are to be provided by the suppliers. This seems to suggest that those Member States have started the implementation of the OOP principle to reduce the administrative burden for all parties involved. Latvia and Lithuania in particular have already a system in place allowing all buyers to automatically retrieve and verify the compliance of the suppliers for certain type of requirements. These Member States plan to link the ESPD to all registries so as to cover all points in order to allow simplified verification of data. The remaining replies of the Member States also refer to a third situation in which access is limited to certain categories of contracting authorities (e.g. central police authorities, tax authorities only, etc. ); this corresponds to the situation in a small group of 6 Member States only. The survey of Member States attempted to gather some data on the impact generated by the use of the ESPD in its first months of application. However, for several Member States the ESPD has been in use for a short period of time and it is therefore too early to carry out such assessment. Overall, this group includes Estonia, France, Germany, Ireland, Luxembourg, Malta, and Slovenia. In the end, only two Member States provided a quantitative estimation of the impact on companies: according to Denmark, the benefits accrue to 12 million euro per year, while Croatia reported 83% reduction of cost in preparing bids with regard to means of proof. No Member State has tried yet to quantify the benefits deriving from a reduced administrative burden for buyers. Workshops with Member States show that Member States are beginning to perceive the potential benefits and how they can improve their national solutions. However, most Member States provided a qualitative assessment of the impact of the ESPD, which is summarized in the table below. The views of Member States vary significantly and depend on the state of implementation of the ESPD. Overall, a majority of Member States provided a positive assessment deriving from its use; they have indicated that benefits would materialise connecting the ESPD to registries and databases of evidences. Another group of Member States including Denmark, Germany and Spain reported that the ESPD has been thoroughly criticised by enterprises and buyers alike. Others, like Ireland, despite acknowledging the simplification potential brought by the development of an electronic solution, indicated that the initial implementation has been challenging until now. Table 3 in the Annex to the Report lists the benefits and disadvantages reported by Member States from the use of the ESPD. ·the European Association of Craft, Small and Medium-sized Enterprises (UEAPME). 48 Stakeholders from 16 Member States have taken part to the survey. The above graph illustrates the replies received by association/group. 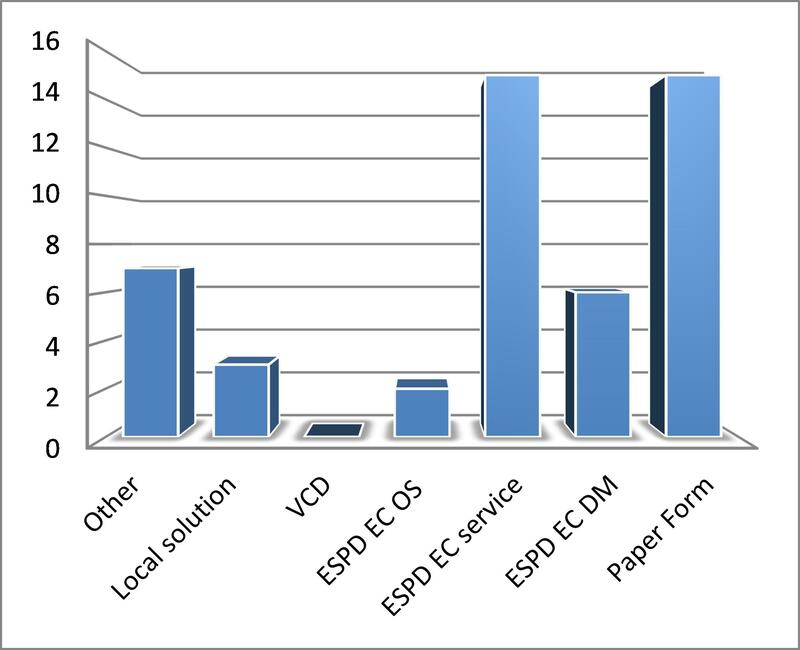 Only half of respondents reported that they are using the ESPD while the prevailing mode is paper, followed by the eESPD. Overall, several stakeholders representing both buyers and sellers expressed some concerns as to the use of the ESPD, highlighting the complexity of the form. However, this may also be due to the use of paper version or, in some cases, to some misunderstanding of the system. In some cases, the stakeholders reported that the use of the ESPD is not considered mandatory by the buyers in all procurement procedures, or that other types of self-declarations are used. Several stakeholders expressed concerns on the wording of the form or on the need to submit the ESPD for the sub-contractors; others, on the contrary appreciated the eESPD service, and considered that the ESPD is a useful tool for SMEs since it standardises the self-declaration to be used. Overall, stakeholders' views differed depending on whether self-declaration was already in use in their Member State and the degree of complexity of such a document. As illustrated in the Member States’ and stakeholders’ surveys, the implementation of the ESPD has just started due to the late transposition of the directives, and the time necessary to implement it. As a consequence, in most Member States the use of the ESPD is broadly limited to paper and to the Commission’s eESPD service. Very few Member States have already developed a national solution of the ESPD, although several of them plan to do so in the medium term. Member States are therefore not yet exploiting the full potential of the ESPD 13 . In addition, there is no sufficient practical experience to assess the need for amending the ESPD. It is significant in this regard that only a very small number of Member States –three-have made some suggestions for changes to the ESPD and/or the eESPD. In this context, a more thorough assessment of the ESPD should take place in 2019 alongside the one on the economic effect of the Directives on the internal market and cross-border procurement 14 . Such an assessment will be based on a few years of application and provide a more comprehensive picture of the situation. The Commission will continue to foster the implementation of the ESPD in the Member States, and in particular support its integration with the national e-procurement systems and registers/databases of certificates/evidences. This will contribute to implementing the OOP in the Member States. In keeping with the transitional nature of the service, the Commission will not engage in main developments of the eESPD after 18 April 2019. It is planned that the eESPD will be ceased after that date. Further developments of the ESPD (and of e-Certis 15 ) will also have to take into account developments in systems interconnecting Member States’ registries (such as Business Registers Interconnection System (BRIS), Interconnection of Insolvency Registries, or the European Criminal Records Information System (ECRIS), etc.) which include documents and certificates relevant for public procurement procedures. ESPD was also taken in consideration in the work of improving the procurement standard forms. The results of this public consultation 16 will be taken into account in the possible future assessment of the ESPD of 2019. It is also essential that Member States properly implement the provisions of Directive 2014/24/EU which require Member States to keep the e-Certis system up-to-date. This objective was recognised by the Member States themselves in the survey. In this context, the Commission will closely monitor the implementation of e-Certis to ensure the proper functioning of this important single market tool. Directive 2014/24/EU of the European Parliament and of the Council of 26 February 2014 on public procurement and repealing Directive 2004/18/EC, OJ L 94 of 28.3.2014, p. 65. Other provisions of the Directive refer to use of the ESPD in specific contexts, but the main regulation is to be found in Article 59. See Commission Implementing Regulation (EU) 2016/7 of 5 January 2016 establishing the standard form for the European Single Procurement Document, OJ L 3 of 6.1.2016, p. 16. Article 59(3). This is 2 full years earlier than the "ordinary" date, 18 April 2019, foreseen for the general review of the Directive pursuant to its Article 92. These activities have been funded via the ISA² programme (Interoperability Solutions for Public Administrations, Businesses and citizens). It is also significant that only a very small number of Member States – three – have made some suggestions for changes to the ESPD and/or the eESPD. These may be taken into account as appropriate in the context of ongoing adaptations of the eESPD. See footnote 9 on e-Certis.